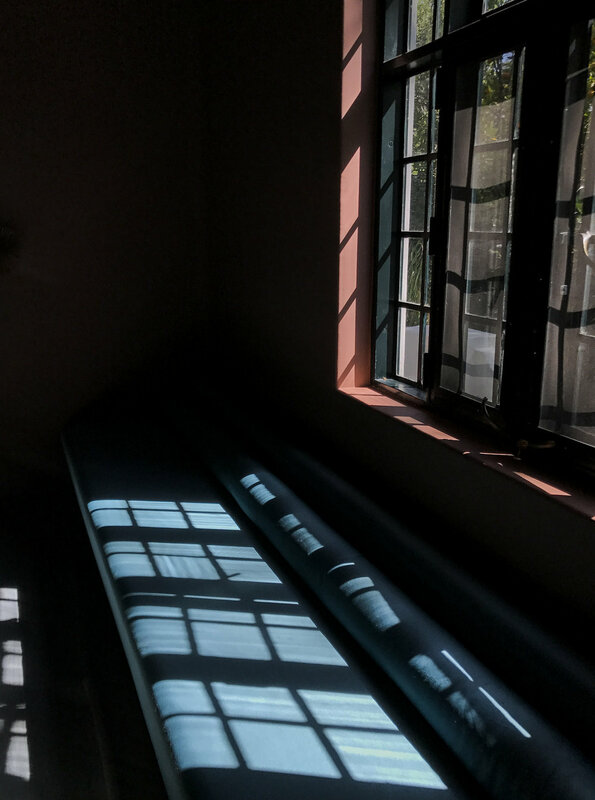 While preparing for my trip to Guadalajara, I made a list of hotels, galleries, and architectural sites I wanted to see while in the city and I made Casa Fayette a top priority. Opened in 2015, this 37-room boutique hotel is one of the best designed in Mexico and from my travel experiences, the world. Casa Fayette is one of the coolest hotels that I have ever had the pleasure of exploring and one that I cannot wait to be a guest of. This unique property is on the roster of hotelier geniuses Carlos Couturier and Moisés Micha of Grupo HABITA, a personal favorite of mine. They're also owners of Condesa DF in Mexico City, which I had the pleasure of visiting back in 2014 and am currently long over due for a return. Grupo HABITA teamed up with local architectural firm Estudio5 to transform this 1940's mansion into a design paradise within the city. They maintained and played-up the original Art Deco structure while incorporating both mid-century modern and Jalisco aesthetics. In the restaurant and lobby, the Barragan-inspired palette played perfectly with the lavish tropical prints and fecund botanicals found throughout. The interiors are credited to the brilliance of Milanese design firm Dimorestudio, who hand-selected the furnishings and fixtures throughout the entire space, many of them which are for sale. There were also a variety of objects specifically designed for Casa Fayette and manufactured in Mexico. 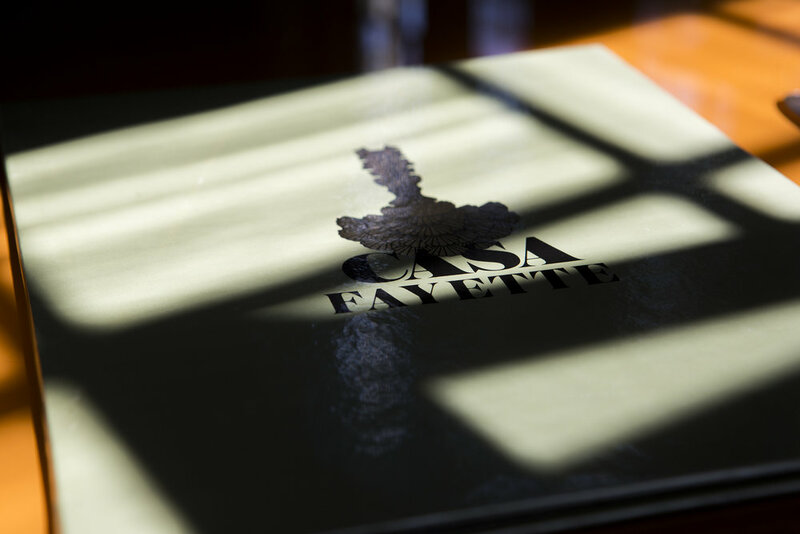 I had the opportunity to look at Casa Fayette's catalog of furniture while on my visit and was blown away. As a an art and design fanatic, I was excited to further explore Guadalajara during my free day on this spectacular Don Julio press trip. For those who love and worship the work of Luis Barragán and those he inspired, making the pilgrimage see the modernist houses built between the 1920s -1940s in GDL is a must, with Casa Fayette among them. Located in the burgeoning Lafayette District, it was but a short walked on the tree-lined streets from Hotel Demetria, where I was staying. I arrived for weekend brunch and ordered a latte with pancakes and avocado toast. The natural light and casted shadows were absolutely stunning in the restaurant. My only snag was that while taking my first few photos, I was stopped and forbidden from using my camera in the hotel. I was restricted to using my iPhone on the property as management said I'd have to pay an hourly rate to use a camera with a detachable lens. Chef Leobardo Solano Garcia is at the helm of the restaurant, with a menu that describes itself as "a mix of American comfort food and local Mexican ingredients" based on the surrounding seasonal products. I wish I had a photo of the menu design because it was the most beautiful menu I have ever held in my hands–it almost brought me to tears because it was that incredible. My brunch was served and the pancakes were a dream, topped with mascarpone and stewed raspberries. I have been on a real pancake trip these past couple of months and these were some of the best. The Avocado Toast was a unique serving, topped with smoked trout, pickled onion, habanero, and coriander. I indulged in the pancakes so much I found myself mad that I could not finish my toast, which was topped with so much flavor, it felt a shame to leave most of it behind. I have encountered a lot of lazy avocado toasts in Los Angeles, so to be served a dish so elevated, I wanted to savor every bite. Again, Mexico with all the right flavors. Because I was beyond hyped to experience the design-lovers dream known as Casa Fayette, I pressed the issue again with my camera. A young man then appeared and although did not oblige my request, asked me if I'd like to take a private tour of the property. I emphatically said yes. When we reached the rooftop pool, I was ready to put on a robe, kick up my feet, and take in the views of Guadalajara. My favorite hotels are the ones that welcome and encourage the art of relaxation, and at Casa Fayette you can disappear into the spa, pool or one of the artfully crafted enclaves, guaranteed to foster total chill vibes. If you want a cocktail, they have that too, from a gorgeous Art Deco bar in the lobby to the Modernist roof-top bar. You don't have to leave if you don't want to. And I didn't want to.